Clients rarely search for legal services before they need them, and by the time they reach that stage, your firm will be competing with everyone else for the active buyers. The thing is, active buyers make up just 3% of a market, so the most effective digital marketing strategy is to target the other 97% to nudge them into buying mode. That way, your firm is at the forefront of their mind when their hour of need arrives. Doing this requires a deep understanding of your customer, and that’s where a lot of law firms fall short. 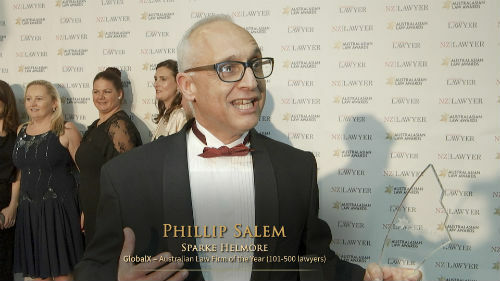 The legal profession has a tendency to employ “selfish” marketing tactics, focusing on talking about the company (“We have 35 years of litigation experience”), its achievements (“Here are all my degrees”) and what it can do, instead of addressing its potential clients’ needs. Does your marketing talk about yourself or your firm more than it talks about the prospect and their hopes and dreams, pains and fears? Whenever you're helping anybody do anything, it’s about acknowledging the current state they're in, and the desired state of where they want to be. The 80-20 rule applies here: 80% focused on your prospect and 20% on how you can help. So, what can you do to increase your potential market? Law is a broad umbrella, so the first thing you should do is figure out which of your services gives you 80% of your revenue and then create a profile of an ideal client for that service. By “profile” I don’t just mean general demographic information. You need to work out how your client thinks, feels and acts in specifics: Are they risk-averse or a risk-taker? How do they feel about their family? Are they good at planning ahead or are they spontaneous? Once you have a handle on that, find out the kinds of questions they’re asking about the service you provide. You can do this by researching questions on forums (such as LawAnswers.com.au) and search engines. Can my ex contest my will? How can I leave money to charity in my will? You might already know the most frequently asked questions, biggest misconceptions or potential pain points from your experience with existing clients. Combining your research and experience will give you valuable insights into what your customers want – and need – to know. One sure-fire way to put your name in front of potential clients who aren’t in active buying mode is to provide value before you ask for anything. Providing value in advance changes the dynamic between your firm and the potential client. Clients get to know you and begin to trust you, which puts you at the front of the queue when they are ready. Starting the conversation before they even need to have it allows you to capture a much bigger segment of the market – it's the total opposite of how most lawyers market their services. A free report on making a will, for example, 11 Pitfalls No One Tells You About Writing a Will, helps to stimulate and educate the market to give you warm leads. These people are interested enough in your free report to exchange their contact details for it. Once you’ve captured those details you can put them on a database and automate your communication to move them along your sales funnel. After a week you could reach out with an offer of a free consultation to discuss their will or give them a roadmap of other related services you provide, which might include starting a family trust. If they’ve found the first report valuable, the chances of them responding to this call to action in a positive way increases. By the time you’ve nurtured this lead to the point where they will book a free consultation with you, you are in the best possible position to secure them as a client. A big mistake I see many law firms make is having their homepage as their landing page. It’s too generic – the more targeted you are, the more effective your ads will be. It’s no good earning lots of traffic only for the leads to drop off when visitors can’t find what they clicked through for, so build an opt-in page for your free report and then direct your ads to it. Promote it as aggressively as you can. I recommend using Facebook Ads for the untapped market; buying keywords on search engines is very competitive because they target active buyers. Facebook lets you put your message in front of people who aren’t actively searching for it but might well be the perfect buyer. There are 15 million active Facebook accounts in Australia, and you can target people based on super-detailed criteria like their suburb, how much money they earn, if they own a home, and if they have children. For example, you could target people who live within 10 kilometres of your firm’s office who have just bought property (How to protect your assets in your will) or who have recently had a child (Starting a family trust). They are unlikely to be actively thinking of making a will or other related legal services, but your ad might prompt them to look into it. Every interaction you have with a lead needs to be valuable, but don’t forget to pitch. Emails, reports, offers have to be 80% value and 20% pitch, so include a call to action to capture the buyers who are ready: “If you like this kind of content, then we'd like to offer you a free consultation.” Although high-value content is designed to appeal to 97% of the market, within that segment there’ll be a sliver of what we call hyperactive buyers, those who become clients straight away. You need to give them the opportunity to do that in every interaction. The other thing to consider is frequency. Many firms don’t nurture their leads enough – I recommend a minimum of once a week because anything less and you’ll be forgotten. Automation can help keep your name top of mind while waiting until the lead is ready to convert. They will only reach out when they’re ready and if they don't reach out, then you should keep nurturing them until they do. Savvy digital marketing is not just about where and when to place an ad on online media platforms, it’s about seeing your potential market beyond the active buyers. That requires you to think deeply about your customers and their needs to put a long-term strategy in place, one that allows you to stay visible, and nurture your leads by constantly adding value to your potential prospects. Do this and then when they are ready they will gravitate towards your firm, not google. 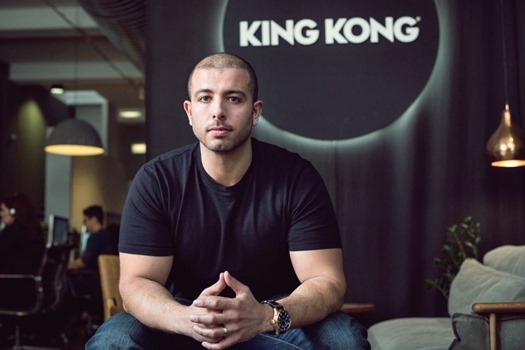 Sabri Suby is the founder of King Kong, which has just been named Australia’s fastest-growing full service digital marketing agency for the second year in a row, coming in at 28th on the Australian Financial Review’s “Fast Starters List.” King Kong uses true ROI and only charges for success. Based in Melbourne, King Kong has clients across Australia and overseas. Its services include SEO, CRO, PPC, Facebook Advertising, web design and landing pages.